Even if you said "daisy with no images" in your profile, the Stream firmware was downloading the images anyway. I checked by copying the file to my computer. I believe the latest update fixed it. The Stream would get confused by the image and stop, and you'd have to start it up again. It wouldn't freeze, just get silent while it attempted to "process" the image. Try downloading one of the "for dummies" books because they contain lots of images. Then copy them to a computer and see if the daisy structur contains an images directory with a lot of jpg files. If it does, you know you still need the firmware to get updated. it If you copy files from your computer to the stream this does not happen. It happens only if you use the stream's built-in ability to download from bookshare. Lots of good stuff, and if you have sighted help, there are tons of images too you can have a friend describe. Look at "Knitting for Dummies" and "Crocheting For Dummies" for starters. I search for knitting, but then I sort the results either by copyright date or date added to site. Many books have patterns and are more advanced, but you can have good luck by looking for words like "beginner" or "basic" in the title. Nearly everything in the past three years is publisher quality. Since there are separate forums for parents and teachers I decided to post this here, so both groups might read it. I work at a college helping print-impaired students acquire and read textbooks, and as a big fan of bookshare, it's often my go-to source. One thing I see happening frequently is that students are shown one reading technology and not given the opportunity to try others. For example, a student might have only used audio MP3 files, or read Daisy with Eclipse reader, or used a Victor Reader Stream. I think it is super important for any student who is past elementary school to read bookshare using a variety of methods in order to figure out which one works best for him. Too many teachers and parents settle on the method they find most comfortable and never branch out to teach other techniques. I am blind and work mostly with sighted people who have learning disabilities. Though it might be easier for me to use my Victor Reader Stream, I always demo VoiceDream Reader on an iPAD to these students first so they can both see and hear the text. If it turns out that seeing the book isn't really helping, they can always try a portable Daisy player. Recently I heard of a blind student who was taught to read using Kurzweil 3000, a visually-oriented reading and scanning solution whose primary audience is the learning disabled. She had not known that products which were easier to access with the keyboard existed, because the teacher who had worked with her had only taught K3000. Remember that everyone learns differently, and people are more likely to enjoy bookshare if they use a tool best suited for both their limitations and strengths. I like Braille when I'm working with a technical book, a crafting book or reading cooking recipes. I like speech when I'm enjoying Science Fiction. And if it's a course I'm taking, then I like Daisy, where I have the book on my computer and can easily search, scan and take notes. Last quarter, I had a low-vision student taking art history. We had her read the book using mainly speech on her iPAD, but I obtained the book in PDF from the publisher so she could magnify the pages with artwork she needed to actually see. Because she wasn't forced to read the entire book with magnification she did much better than she used to perform in high school, where a less informed teacher insisted she read everything with a magnifier. This is one of my pet peevs; everyone reads and learns differently. It's our responsibility as bookshare promoters to see that a wide variety of tools are introduced and to remember always that one size never fits all! When bookshare was new, nearly all the volunteers I corresponded with were blind. I never got in to volunteering much, mainly because I was getting paid to do the exact same things bookshare volunteers did and I wanted to do something completely different when I got off work. But, blind people definitely helped build the collection, so your visual impairment is no barrier. You can scan and proofread as effectively as anyone else; I have submitted over 800 books to bookshare under my college's name. You cannot always "look" at the original page, but if the scan is so bad you need access to the original image to figure it out, then it's not worth submitting anyway. Proofreading usually involves fixing just a few errors here and there; a run together R and N that was mis-identified as an E followed by an M for example. Volunteering also gives you credit towards membership. Don't let any impairment interfere with your ability to volunteer here. There is an active volunteer community that can help with figuring out how to do the work independently. For example, one valuable tip I picked up in the beginning was to scan the table of contents to a separate text file, and refer to it as I marked up page numbers. That made the work I did in my job far more accurate, and I am grateful to the community of bookshare volunteers that helped me develop my scanning and proofing skills. >Do you have any ideas for how we can better reach out to as many teachers as possible? 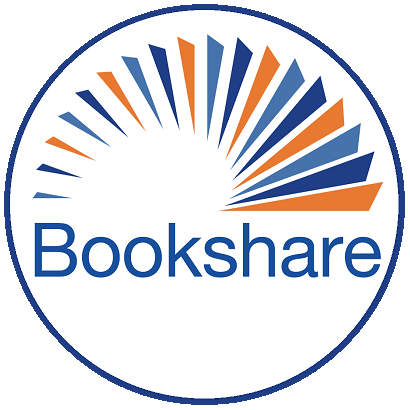 It's really important to get information about bookshare to people who present regularly at the kinds of conferences that ordinary teachers, who work with able-bodied students attend. Because so many pupils are now mainstreamed they may have minimal contact with a special ed teacher especially if they are working at grade level. So though bookshare gets heavily promoted to special ed, any teacher should actually know about it, even when a print-impaired pupil is not on their radar. Librarians who are already info junkies need to know about bookshare. When I go to a library for any purpose I always track down the reference librarian and tell them about bookshare and take them to the site. It's surprising how many never heard of it. So conferences attended by librarians are also a vital place to spread the word. If bookshare hired an outreach intern who could spend a summer simply visiting every bay area library, that would be a start. I'd have loved that job when I was a high school senior! And it's a perfect job for a bvi college student who feels comfortable riding public transportation. Another idea is to give volunteer credit to bookshare members on fixed income (seniors perhaps) who make a presentation about the service to a local library and can send you a confirmation from its head librarian that the presentation was actually made. Lastly, I'd have a simple PdF brochure on the site that anyone can download and easily email to friends. It should be short, filled with pictures and a coupon for a free membership for a few months for anyone qualified. I sometimes review books I've read, but not always. It is discouraging because in the advanced search, there is no way for users to locate books with reviews. So I loose interest in writing reviews. There should be a way users can search for reviewed books, or get more specifics, say books rated three stars and up. Bookshare also could encourage the writing of more reviews by implementing a voting system. If one of your reviews gets a vote, it shows up in My Bookshare, and the blog can feature popular books -- not popular in the number of times downloaded -- but on the number of reviews and the number of votes those reviews received. I really like reviewing books on Amazon, which emails me reminders that I should review a book after I purchase it. This could be something that is OFF by default in a user's profile but could be turned on, so users like me who enjoy reviewing books could be reminded to do so. What's the good of writing reviews if nobody knows they exist? I can't figure out how to change my name or add a photo to my profile. The name it shows is my maiden name, back when I joined bookshare in 2002, which is weird because this forum is new. My married name is used everywhere else on bookshare. And there's no way it appears to link my forum profile with the list of books I've read, which I'm fine having publicly listed. Of course, users should be able to choose whether to keep this list private or not! I don't think duplicates is as bad a problem as it might first seem. If you go to a used bookstore like "Half-Price books" you often find multiple, but slightly different copies of the same popular book. You might find a paperback, a hardcover, a trade paperback and a second edition. With textbooks, there is often a compact, a complete, a value and a standard edition, all which have different pagination, sometimes different wording, and certainly different pictures. Same issue for libraries. So, for me at least, I like finding multiple versions of a book and picking which is best for me. If it's for a class,then the page numbers are helpful. Multiple headings are always great. But sometimes that version, scanned by a volunteer, with minimal navigation markup turns out to be best because the volunteer has helpfully reformatted tables, or added pictures descriptions. Remember this is a community effort, so it's always good to be flexible. In the long synopsis, it would be good if bookshare staff added the note that multiple versions/editions are available. You can always add that yourself in the link to improve book quality, thus notifying staff of the need for that note. I know web development isn't easy; you have multiple browsers, multiple platforms, and for us blind users, the added complexity of multiple screen access solutions. But especially as bookshare is a service that is widely promoted by BVI users, you need to insure that screen access glitches aren't permanent. It might be a good idea to have a forum devoted to this topic. Both google and yahoo have accessibility forums where I can posted detailed descriptions of what's not working, steps Itook, browser and screen reader combinations I tried, and if I understand technically what's going on, some explanation of the problem. For example, here in the forums, there are too many nested lists within lists. Users can't navigate to the element of "list" and find anything meaningful. It would be better to put the topics, or the subjects for the individual posts inside tables so the screen readers' table navigation keystrokes could be employed to rapidly navigate to the next topic. Also, the aria landmarks need to be cleaned up. Some of them are just labeled "article" or "complimentary information". Put an aria landmark in front of each post and remove those that add no information. Also, there's some funkiness with the editor I haven't pinned down yet, seems like when I paste in a post, I get whatever I previously pasted. It's specific to the editor; I can open multiple notepad windows and paste fine there, but not in this editor. Also when I review what I've typed, the formatting seems to disappear, then reappears when I actually save the post. I find no way to preview before saving. There are also some unlabeled links, appears they are for voting a post up or down. There are also quite a few other unlabeled graphics. If they are for decoration, no need to label them. The heading levels are good though. I'm not a web access expert, just a savvy user. You need a real web access person to review my comments, because in some places, I'm probably mis-informe. Really, the solution is to have a skilled screen reader user review this in a video or in-person conference along with a web developer who can both see and hear what's happening. Perhaps a monthly accessibility meetup with your web developers and volunteers who are interested in helping out? This is after all Silicon valley where you can easily gather together a few screen reader users, feed them some snacks and get the feedback in person. I find that Voice Dream works the best for students with learning disabilities, or BVI students who use speech. It's my personal favorite. But Read2Go the official bookshare app works much better with Braille displays. When I read technical books, poetry or cookbooks, I prefer Braille but I don't use brf; I use Daisy and the official bookshare app on my iDEVICES with a bluetooth Braille display. Also some students prefer to use magnification with the official bookshare app. If you are at a school, get someone to demonstrate all three apps to you, if possible before you make a choice. I always demo these appss to my students. You can also find user reviews on YouTube. Be your own judge. Capti is free so great for finding out if bookshare will work for you. "Lion's Blood: A Novel Of Slavery And Freedom In An Alternate America" https://www.bookshare.org/browse/book/23179 Blacks are the masters; whites are the slaves. Crafted well enough to be completely believable. Best work I've read from Stephen Barnes with fully developed characters. Also reading David Dyre's The Midnight Watch: A Novel of The Titanic And The Californian" https://www.bookshare.org/browse/book/1233389 Bookshare truncated the title to just "The Midnight Watch", which is unfortunate, because it gives no clue what a great historical novel this is. It concentrates on the mystery of why the Californian did not come to the Titanic's aid. I found out about these forums from the bookshare newsletter, and clicked on a link in the newsletter. When I tried to find the forums from the bookshare home page, I couldn't. They weren't under "Connect" for example. I found them by looking under the Help menu and "submit feedback". Seems like "Bookshare Forums; User Discussion" should be a link on the main page, or at least under "My Bookshare". I have several unofficial workarounds for reading books on my Kindle, described below. However, the official response I'd like to see is this: simply bug Amazon to include the Go Read app in the Kindle store. They have BARD, so why not Go Read? I disagree about the Kindle being unable to handle epub or Daisy. It's true that the paperwhite Kindle readers cannot. But they aren't that accessible, anyway. They have low contrast screens in speech output is only minimally implemented. But it's a different story for the Kindle Fire tablets. They run Android and its built-in accessibility tools which Amazon has modified, and in some but not all cases, improved. In the Amazon app store, Voice Dream reader is available and is the same interface one finds on iDEVICES. It lets readers search bookshare directly, as well as importing books from dropbox, google drive and OneDrive. It has other methods of getting books on to the device, including the ability to use its SD card. VoiceDream's only drawback is that it's a bit strange with Braille, but works great for reading with speech and simultaneous magnification. Unfortunately, as I said before, GoRead isn't in the Amazon app store but there are legal and fully documented hacks to run the google play store on them, thus making VoiceDream Reader, Go Read and other apps that support bookshare easy to acquire. But, my work-around was easier than that. I went to a trusted repository of free Android apps and simply downloaded the APK file for GoRead. This solution is also legal, but people disagree on which app repositories are trustworthy. You'll want to research that yourself, but I personally like APKFREE: http://www.apkfree.com/ which checks the code for malware. Unlike the iPHONE, Android apps which are free in the play store can be legally downloaded as apk files. And if you've paid for an app on another Android tablet, you can back it up as an apk file and move that over to a Kindle fire as well. The Fire tablets have large, clear, high-contrast screens, the VoiceView screen reader, support for Braille displays with BrailleBack and a built-in magnification app. The cheapest one is $50 and the $99 kids version is both accessible and more rugged. I am a blind user and also an alternate media specialist at a community college. The accessibility on Kindle Fire tablets isn't as fully developed as it is on iDEVICES, but it is good enough for any student with a spare $50 who needs an accessible portable bookshare reader. I use mine to consume both bookshare and Kindle books which I've purchased. I use Braille and speech and have trained many low-vision students to use its magnification. And it's 'way 'way more accessible than the ChromeBook at present! *** when I tried to paste this post in to the forum its editor keeps undoing my formatting, sorry.